Sun May 5 - Steve's Big Day! Pastor Steve Montgomery is retiring at the beginning of May 2019. (Read Steve's retirement letter.) Leading up to then, several special events and projects are in the works. What to get involved? See the Retirement Committee's letter below to see how. And please check back for updates. LOVE OFFERING* - Either send a check to Idlewild Presbyterian Church with the designation “Steve Love Gift” in the memo, or you give in the Realm app or online. This is not tax deductible. SHARE PHOTOS - A video will include photos of Steve's years of ministry. Email your photos to revsteve.retire@gmail.com. SHARE STORIES - Your special stories (e-mails or handwritten notes) will be added to a collection of memories. E-mail stories to revsteve.retire@gmail.com or mail them to Peggy McClure, 387 Roseland Place, Memphis, TN 38111. As many of you know by now, our beloved pastor, Steve Montgomery, will be retiring on May 5, 2019 after nearly 19 years of serving Idlewild Presbyterian Church. Steve was ordained by Transylvania Presbytery, September 28, 1980, and has served 39 years in ministry. We are planning a number of ways to express our appreciation for all that he has done for our church, our city, and our many ministries. During Steve’s time at Idlewild, we have seen the More Than A Meal program come to life and blossom. We have been led to a more inclusive and diverse ministry. We have been blessed by Steve’s gift for preaching and many of us have been touched by the way he has thoughtfully helped celebrate the life of members who have gone before us. And, of course, Steve has led us to the expansion and improvement of our Jones Building as we look to the future for new ways to minister within our congregation and community. A special worship service is being planned for Sunday, May 5, at which Steve will preach his final service as our pastor and serve the Lord’s Supper. That morning we will have one worship service from 10:30 to 12:00 in the sanctuary. After the service, we will gather for a potluck lunch. We have invited the Mayor of Memphis and the Shelby County Mayor to the luncheon. We are inviting family, long-time friends, and former colleagues to attend the luncheon or send a message to Steve to be shared at the lunch. In addition, the Session has approved naming the new fellowship hall in the Jones Building as Montgomery Hall. The unveiling of the nameplate will occur that day. LOVE OFFERING* - At the lunch, we will present Steve and Patti with a love offering (not tax deductible) to enjoy in their retirement. You may send a check to Idlewild Presbyterian Church with the designation “Steve Love Gift” in the memo, or you may give in the Realm app or online. PLEASE NOTE: THIS IS NOT TAX DEDUCTIBLE. SHARE PHOTOS - At the lunch, there will be a video which will include photos you share of Steve in his years of ministry. We need as many photos as possible. You can email those photos to revsteve.retire@gmail.com. SHARE STORIES - We also would like you to share special stories. Your e-mails or handwritten notes will be added to a collection of memories that is being organized. You can e-mail stories to revsteve.retire@gmail.com or mail them to Peggy McClure, 387 Roseland Place, Memphis, TN 38111. Meghan Clark will also be contacting parents of young children and young adults for additional ways to participate in celebrating Steve’s ministry. Abigail Apple and Jessica Joshi are heading up a project for youth (both from years past and current youth), so watch for more information from them. Steve is retiring not only from Idlewild, but from the ministry as a whole. After serving as pastor at Buckhorn Lake Area Presbyterian Church in Buckhorn, Kentucky, Church of the New Covenant in Doraville, Georgia, St. Andrews Presbyterian Church in Tucker, GA, and Idlewild Presbyterian in Memphis, Steve and Patti will be starting a new chapter. We invite you to participate in this celebration by giving a monetary gift and/or by sharing your memories in grateful thanksgiving for all that Steve has done for our congregation, our community and for the work of God’s Kingdom. We are excited to welcome the Tougaloo College Concert Choir Sunday, April 28. Under the direction of Laurence Albert, the choir will be participating in the 11:00 worship service. Read more about the Tougaloo College Concert Choir. Idlewild’s participation in the Memphis Interfaith Coalition for Action and Hope (MICAH) invites us to consider the role of advocacy as a faithful response to the Gospel. Please join us on Sunday, May 19 from 5:00 to 7:00 p.m. for an educational forum followed by worship. 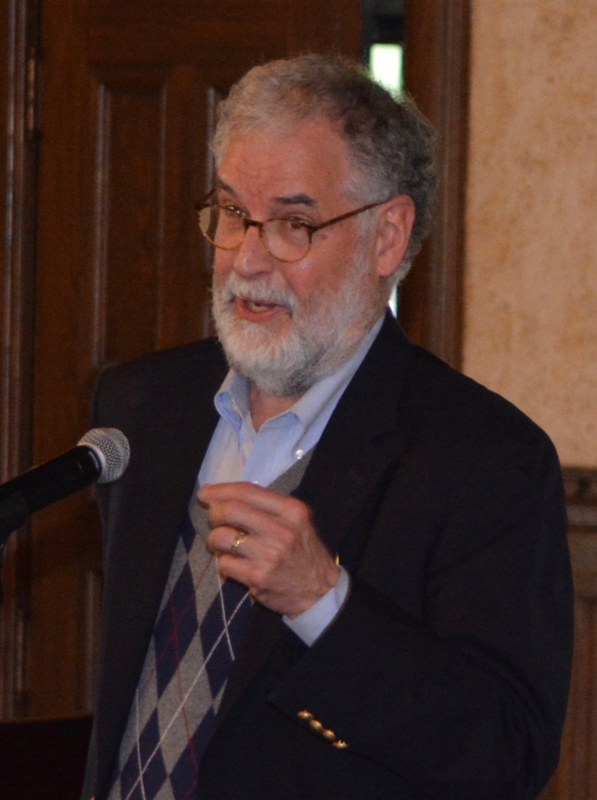 As we enjoy a light supper, Dr. Pete Gathje will deliver a presentation on “A Biblical Call to Leitourgia: Public Work.” A worship will follow in the chapel, with MICAH’s lead organizer, the Rev. Ayanna Johnson Watkins, leading worship, and an Offering of Letters will be received to support some of MICAH’s work. (More details to come.) Note: If you need childcare, please contact Sara Dorrien-Christians by May 10.